Is the Wii's most played game a release title game? 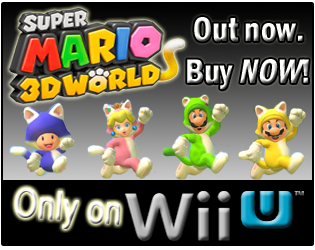 Or, is the Wii's most played game one released later, and perhaps one with online multi-player? Take a guess before looking at the answer, and see if you're right! 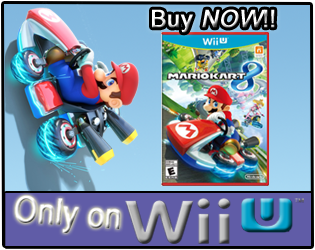 When the Wii was released 4 years ago, games like The Legend of Zelda: Twilight Princess, Excite Truck, Red Steel, Rayman Raving Rabbids and several more were available for purchase. In North America, Wii Sports was bundled with every Wii console, and not available for purchase separate from the console. The one title mentioned above that has not seen a true sequel, is The Legend of Zelda: Twilight Princess. While The Legend of Zelda: Skyward Sword has been announced and is in development, it won't be released until sometime in 2011(it's just been reported that Skyward Sword is more than 50% finished, thanks to reader Nicodemus_at_Nite for the heads-up on that). 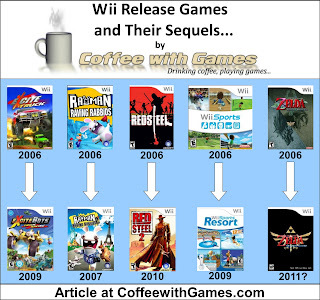 The one feature all Wii release titles lacked was any direct form of online connectivity or play. Rayman Raving Rabbids had online leaderboards, but required writing down codes, and entering them through a separate website. Two other big Nintendo Wii games released within the first year of the console's life that didn't feature online multi-player, were Metroid Prime 3: Corruption and Super Mario Galaxy; released on August 27, 2007 and on November 12, 2007, respectively. Metroid Prime 3: Corruption did have an online function, but it wasn't online multi-player of any sort. The online function was used to exchange tokens in the game, with other Metroid Prime 3 players so you could unlock everything in the game. The first Wii game to feature online play was Pokemon Battle Revolution, which was released on June 25, 2007. While Pokemon Battle Revolution was the first Wii game with online play, other games like Battalion Wars II and Medal of Honor: Heroes 2 were released soon after, and included online play. Nintendo released other big titles like Mario Kart Wii, Super Smash Bros. Brawl, and Animal Crossing: City Folk in 2008, all featuring online play in some form. What is the Wii's most played game according to "Total Hours" reported through the Nintendo Channel, for the 1,493 days from November 19, 2006 to December 20, 2010? Let's take a look! Data reported is for the United States of America Wii owners, not world-wide. Wii Sports has approximately 4,206,547 Wii owners reporting their game-play hours, through the Wii's Nintendo Channel. Wii Sports has seen an increase of about 25,462 gamers reporting play-time data, since just last week. Wii Sports has 170,395,036 Total Hours of game-play reported, an increase of 1,303,103 Total Hours of game-play since last week. 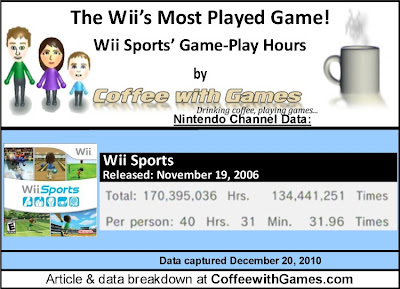 The average play-time for Wii Sports is 40 Hours 31 Minutes "Per person"(or console) reporting data, and the average play-time per session for Wii Sports is just over 1 Hour 16 Minutes. Wii Sports' Amazon.com sale rank is #459, and is selling for $22.23 from a third party vendor. Wii Sports' Amazon.com review score average is 4.5 out of 5 Stars, basically a 90%, based on 97 customer reviews. 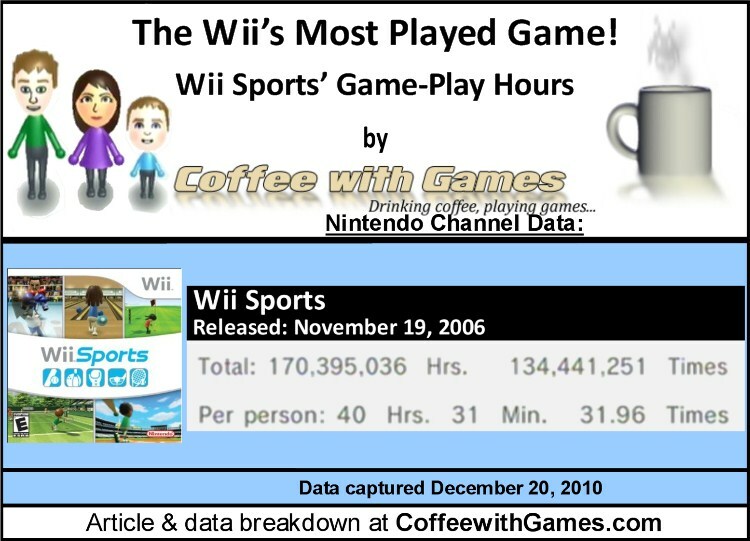 I am really surprised that Wii Sports is still the Wii's most played game, according to "Total Hours" reported. I really thought games like Mario Kart Wii or Super Smash Bros. Brawl with their online multi-player, or even The Legend of Zelda: Twilight Princess being a "core" Nintendo game available since the Wii's release, would have higher reported play-times. I guess considering Wii Sports is included with every Wii console sold though, and a lot of families play it together during the holidays, it makes sense. Wii Sports' reported "Total Hours" of game-play are equivalent to 19,438 years(rounded down) of straight game-play! The number of game-play hours Wii Sports increased since just last week is more than most Wii games will ever have reported; and the same can be said for the number of players increased reporting their play-time data for Wii Sports since last week also. I was surprised at Wii Sports' Amazon.com sale rank being as high as it was, considering the only way to sell the game is if it used and a trade-in, and also considering that every Wii owner should have Wii Sports since the game comes with every Wii console sold. Wii Sports' sale rank was higher than other games released just this year, such as Endless Ocean: Blue World, Monster Hunter Tri, Red Steel 2, and Sin and Punishment: Star Successor. I haven't played Wii Sports in a longtime, and the last time I tried to play it, I couldn't find my game disc! Perhaps, I need to invest in another copy, but I have a sneaking suspicion that my copy of Wii Sports is at my parents' house, from when we visited last Christmas. The one thing I always wanted to accomplish in Wii Sports was a perfect 300 in bowling, but I never did. I came close several times, but it seems frame seven was always my downfall. Are any of you surprised, or not, that Wii Sports is the "most played" Wii game according to its "Total Hours" reported? Also, have any of you scored a perfect 300 in Wii Sports bowling? My friend scored a perfect game in bowling in like 2007. I came close with a score around 280ish. I'm not surprised. Like you said, Wii Sports comes with every system. So no matter if you're a core gamer or a casual one, you're going to spend some time with Wii Sports. And while core gamers may play games for longer periods of time, their time is spread out amongst more games. My #1 Wii game is SSBBrawl w/ over 339 hours played. Wii Sports is barely at 40 hr. Compare that to a Wii owner who owns only Wii Sports, Wii Fit, and Wii Play (there's tons of them out there). With the smaller library, there's a greater chance of them going back to play Wii Sports -- the game that was most likely the driving force behind them picking up the Wii. I'm most surprised about the 40.5 hours PER PERSON on Wii Sports - That's nuts for an average considering how many copies have been sold. Close only counts with hand grenades and nukes! Do you have any tips for bowling a perfect game in Wii Sports? Or, is it just "practice makes perfect"? Yea, the 40.5 "Per person" is solid for the game, and I can only imagine how much higher it would be if the game had online of some sort. Thank you all for the comments and feedback! Has anybody other than TOPolk bowled some perfect games in Wii Sports? You may need to get the tools, you not only made ​​to play your Wii games, though, you will in addition be able to play a DVD, watching DivX movies, download home-made software, download and play Wii games, and backup and play your Wii games .